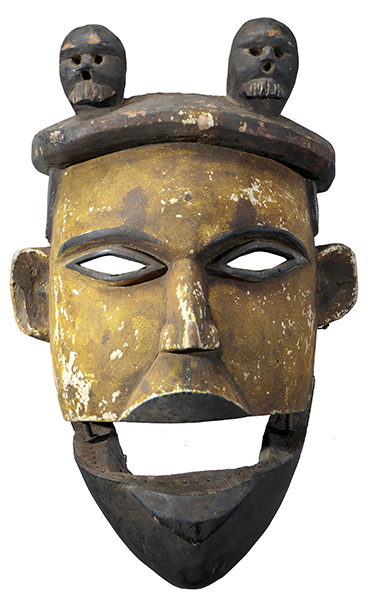 This Ibibio mask has been vetted as being authentic with significant signs of use and age. 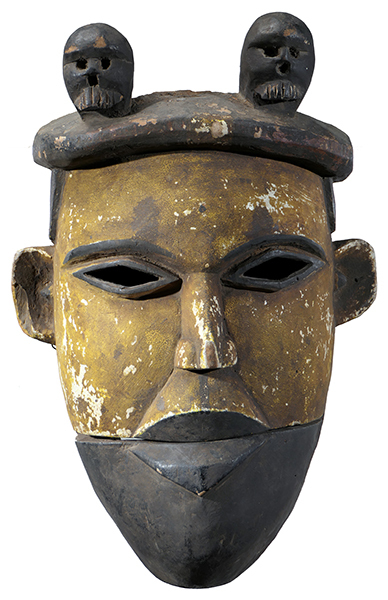 This mask has a movable jaw like on Ibibio Puppets. 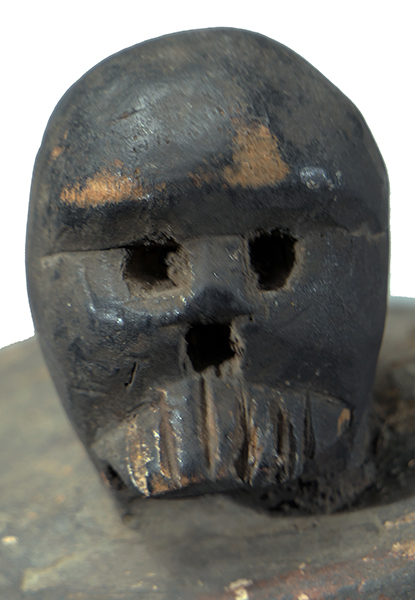 Wear has caused some loss of pigment. 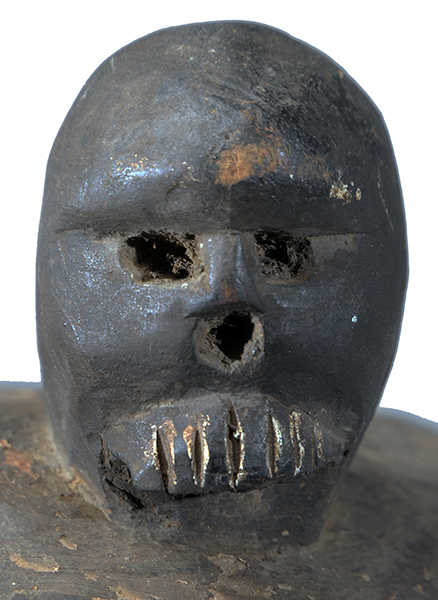 The strings holding the jaw in place are not original. 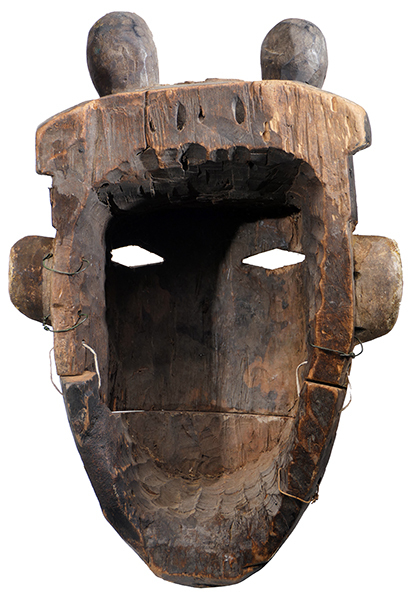 As is the practice the mask has been photographed with the eye holes blackened to approximate how it would look when worn or hung.